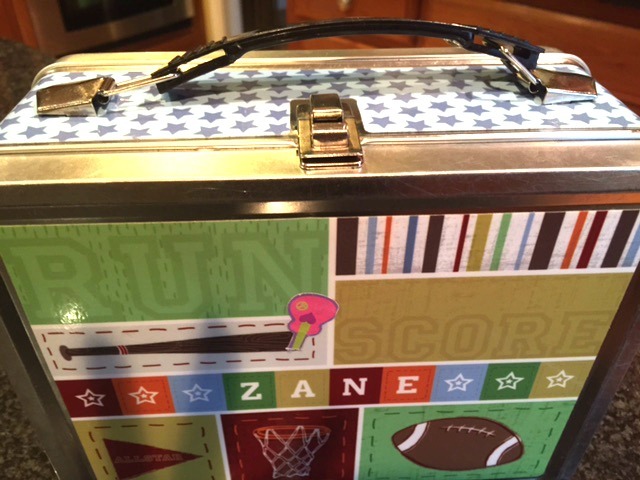 Zane’s Personalized Frecklebox Lunchbox and a Giveaway! This year Zane is styling thanks to his adorable lunchbox from Frecklebox. We have been Frecklebox fans for many years here because they create adorable, practical, and personalized gifts for everyone in your family at affordable prices. At Frecklebox, they have a wide diversity of products. They have products for boys, girls, specifically for school, for special occasions, and even themed products. You can find products for just about everyone in various age groups for children. Some of their growing selection of personalized kids’ gifts include personalized books, coloring books, puzzles, posters, party favors, stickers, journal books, placemats, lunch boxes, notebooks, growth charts, story books, canvas wall art, room decor, and so much more! Whatever product you can possibly think of for your child, you can find at Frecklebox and then have it personalized! 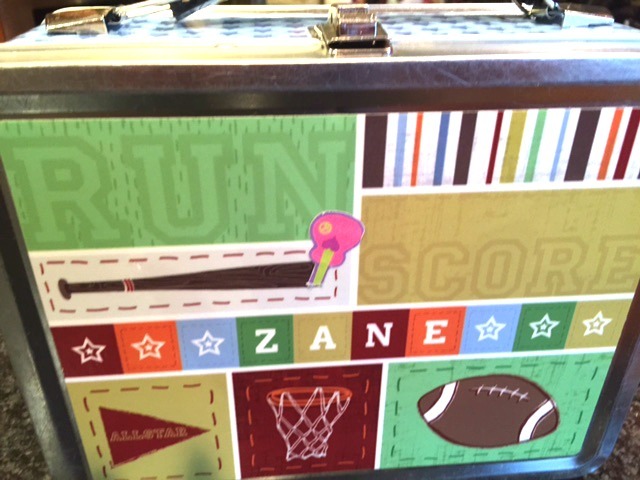 Zane loves his lunchbox and uses it every single day to store his lunch. He gets so excited to take his Frecklebox lunch box to school and even helps me pack his lunch in it everyday. How is that for teamwork?! He loves that it has his name on it in fun colors. For $29.95, this is a lunch box you most definitely want. It also holds the food extremely well and is easy able to be closed and open. Frecklebox products would make wonderful products for anyone in your family. Be sure to check out their selections today! Happy Shopping! You will get fast delivery for enduring quality today! Win it: One winner will receive their choice of a lunchbox (ARV: $30). This giveaway is run via rafflecopter so click read more to see the actual giveaway. The only mandatory entry is to visit Frecklebox and tell me what you like the best. Please put all comments in comment section proceeding the post. US only. Good luck! PeachSkin Sheets 1500 thread count Review + Giveaway! Pay4SchoolStuff – The Easy Way to Make School Related Payments! I like the Woodland Gnomes Coin Bank. I like the Super Speedway lunchbox. I like the Naughty and Nice lunchbox for my teen! How unique and something she’ll use past highschool! I love the Floating Fairy Growth Chart Personalize! I love the personalized baseball and mod fire truck lunch boxes and sports growth chart. My favorite is the Woodland Gnomes Lunch Box, I’d love to get that for my daughter. Love the firetruck coin bank! I like the variety of placemats like the snakes and planes ones. I love the sugar and spice canvas wall art! So pretty! I love the Floating Fairy Growth Chart Personalize. I like the soccer lunch box. My favortie is the girls classic tin lunch box. Quilted Owls. I really love the mod firetruck personalized lunch box!! All of them are adorable! My favorite is the Fancy Flowers Coin Bank Personalized. My favorite product is the Looks like me fairy lunch box….too cute. My favorite is the Dancing Pigs Coin Bank. Thanks. I like the goes to the zoo personalized storybook. Oh my goodness, these are so super fun! My boys would love taking this to school each day. Thanks for the fun promo!! PS I love the Skateboard lunch box!! I have to say that all their products are adorable but i really love the lunch boxes. I like the Pirate Fish Puzzle. I would get that for my grandson, he loves puzzles. I love the Cutie Birds Yubo lunch box. I love the Owl Friends Lunch Box!! That is the cutest thing ever. My children will want to take it everywhere with all their treasures. I like the Owl Growth Chart. My fave product is the Super Speedway lunchbox. Hi! One of my favorite products is their The 10 Little Heroes personalized book. My grandson would love it. Thanks! My favorite is the Owlie Canvas Wall Art! Love the Race Car Lunch Box, so cute, and would go to my grandson, thanks! I really love all of the Personalized Coloring Books and the Peace Out Journal. Thanks so much for hosting this giveaway! I think the Think Pink Canvas Wall Art Personalized would be cute or any one of the personalized books. I love the binders, especially the Floral Monogram Binder. I love the peace out lunchbox! I like the school folders. I really like the Cars Lunch Box. The Personalized Girls Lunch Boxes the chalk board inside for personal message is cute. I liked the Hot Dog coin bank. I loved all the girl things. The coin banks, the binders, and the cute lunchboxes. I like the sunshine lunch box. LOVE the Pink Pastures Lunch Box. Thanks so much for the chance! The Hula Girl Lunch Box is the awesome! Personalized puzzles would be a huge hit with my daughters! My favorite product is the personalized Damask Journal for girls. I like the Early Bird Chore Chart. Monsters Lunch Box Personalize is really cute! I love the canvas wall art and the clipboards. I love the mod fire truck turbo lunchbox in blue. So cute. My son would love this! I like the Quilted Monogram Lunch Box Personalize. I love the Owls Friends Lunch Box. I like this item: Cute Birds Canvas Wall Art. I really like the Robotz Lunch Box. I know my son would love it. My favorite product is the Urban Neon Journal Personalize. I really like the soccer lunch box! Thanks so much for the chances to win. I love the Puppees and Kytens Yubo lunchbox personalized for girls. It’s so cute, and functional!!! I could pack more than just a sandwich and applesauce. I love the monsters personal lunchbox for boys 🙂 SO cute! Brave Rooney Book, My kids love & enjoy reading books it let’s their imagination have fun & go wild with each adventure! My daughter would love to have one of the personalized journals! I’d love to get the “Men at work Chore chart” Perfect addition to my son’s room.